Ferrari factory original 1987 Ferrari Mondial 3.2 Brochure. 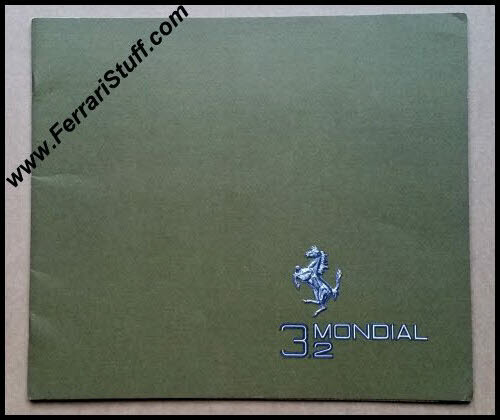 This Ferrari brochure contains 14 pages, of which 3 fold out, + 2 "Onion Skin" pages, elaborating on the Mondial 3.2. 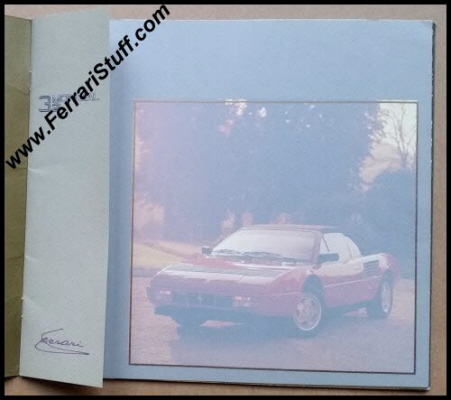 It carries the PRINTED signature of the great Enzo Ferrari on the first onion skin page. 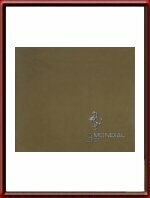 It measures approximately 12 x 11 inches or 30 x 27 cm. 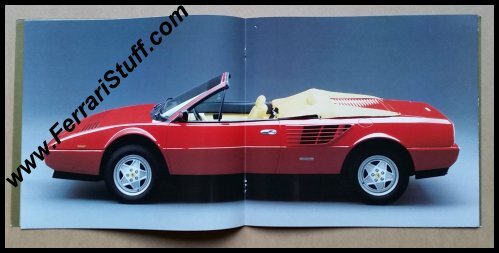 Although most of the pages are filled with (stunning!) 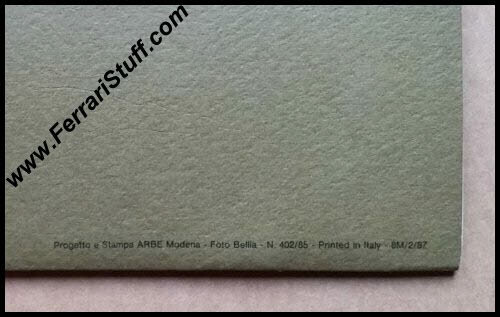 photography, the specs in the back of this brochure are in Italian, French, English and German. Ferrari Print Number 402/85 8M/12/87, originally issued in 1985, printed in February 1987 by Stampa Arbe, Italy. 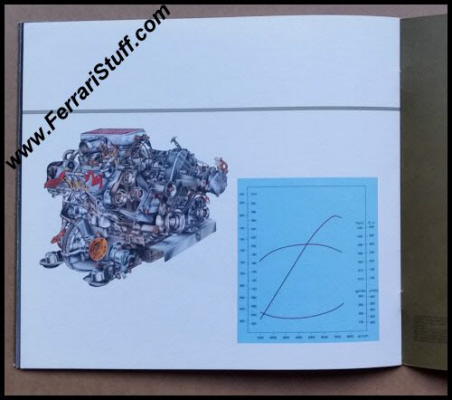 It is in decent condition for its age.